Located in the hamlet of Dalwood, her gallery is approx 35 minutes from Byron Bay, Australia's easterly most point and famous travel destination, and 15 minutes from the seaside town of Ballina. The artist will be happy to personally provide a short tour of current work and her workshop plus discuss techniques and designs. Please e-mail or call ahead to arrange a suitable time for viewing with small groups only. Current work available can also be ordered directly from the online gallery part of this site and carefully dispatched to all locations in Australia. 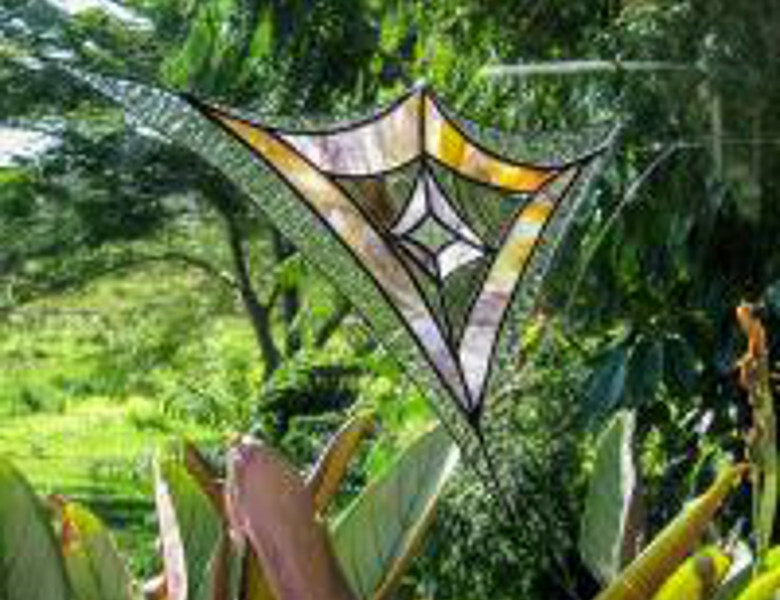 Jacqueline welcomes custom glass art commissions and is happy to work with themes and colours reflective of your own desires. Jacqueline also exhibits in select regional galleries and offers workshops including several short courses available for adults in copper-foiled window panels, design objects, sun-catchers ranging up to kiln formed glass & jewellery. Most classes are suited to complete beginners, while some can be designed for intermediate/ advanced students. Class sizes are usually kept to a maximum of 5 to allow each student adequate workspace and attention.